Congratulations Chris, Frank and Anthony! Chance McKinney of CMCW would like to congratulate his friend (and co-writer) Frank Myers and Anthony Smith on their current single with chart-topper Chris Young. We're passing along this press release by MusicRow Magazine in hopes of bringing light to those who make the music behind the scenes. 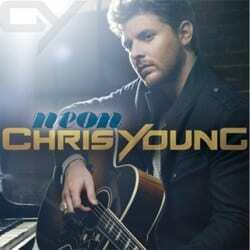 Penned with Frank Myers and Anthony Smith, it is the fastest-rising single of Young’s career. It has scanned more than 225,000 digital downloads since its release in February. See the video here. In preparation of the upcoming release ChrisYoungCountry.com has been relaunched with a new look, additional fan features, and pre-order options. The website includes the latest news, photos, tour dates, merchandise and social networking updates. Young’s career has been building momentum, with three consecutive No. 1′s at radio, and an album approaching Gold certification. He also garnered his first Grammy Award nomination for Best Male Country Vocal Performance with his hit, “Gettin’ You Home.” He will spend the summer on the road with Jason Aldean’s sold out My Kinda Party Tour.